One fateful morning in 2016, I realized I wasn’t living up to my potential. It started with a darkly-familiar, creeping angst. Then came the recognition that I’d been playing it safe. I was settling for good instead of great. 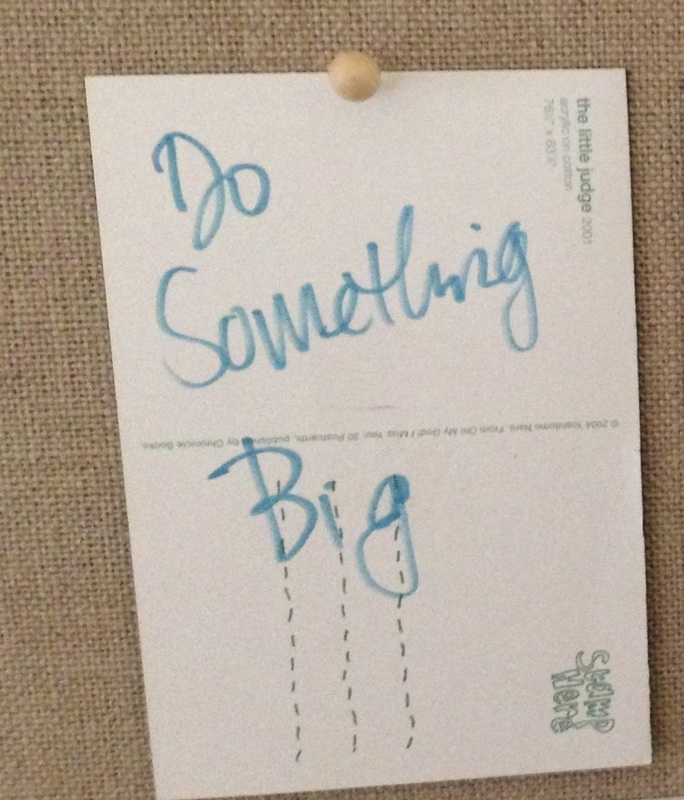 As I was headed out the door to a day job I hated, I scrawled “Do Something Big” in loopy script next to my carefully printed goals. The “something big” was a mystery, but I knew I was done with incremental tweaks. I craved a seismic shift. Technically, I was at the top of my life game, crushing my career goals, ticking all the boxes. But I wasn’t happy or fulfilled. I was bored. I knew I was capable of more. I wanted to be challenged, to lead the way I wanted to lead. I decided to dismantle the life I’d spent 15 years building and start fresh. I moved to New York in 2002 as a one-year experiment to start anew. Fifteen years later, I'd filled more blank pages than I could have imagined. My New York life was a wondrous, improbably-long chapter, but it was time to write the rest of the story. In 2017, I embraced the freedom and promise of a new blank page. I committed to reevaluate everything and remake my life. Here’s a candid assessment of what worked and didn’t in a life-changing 2017. 1. Sell my apartment, leave NYC, become debt-free. Selling my place was my most challenging goal of 2017. Over the course of 10 excruciating months, the sale fell through 3 times in spectacular and unprecedented ways. It was emotionally exhausting and threatened to derail many of my other goals. The deal ultimately went through, and the experience led me to refine my housing philosophy. I scrapped plans to resettle in any one city, deciding to keep housing and location as flexible and low-cost as possible for the next two years. You always have options—many of which you can’t foresee. The key is not to retreat. I've sadly witnessed too many people settle for the status quo when things don’t go as planned, preferring to endure the pain of the current situation simply because it’s more familiar than the unknown. Trust that change will ultimately be better than tolerating. Remember why you embarked on change in the first place. 2. Minimize my belongings and donate >1 thing per day. I sold, donated, or gave away most of my belongings. The stuff I use every day fits into the backseat of a car. This is freedom. The more I applied a minimalist approach to my possessions, the more it permeated the rest of my life. I evaluated relationships, habits, decisions—even my to-do list—to maximize the important and minimize the rest. 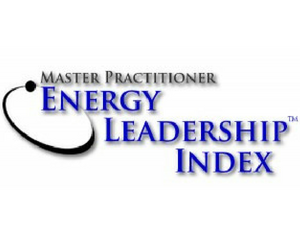 Take a hard look at where you put your energy. Release what is keeping you stuck—whether it’s toxic relationships, limiting beliefs, or consumer goods. Everything you want requires an investment of time and/or money. How will you spend yours? 3. Refine my business model and programs. Launch my executive retreat. In January 2017, my vision was to remake my career coaching business into a Hawaiian retreat for burned out senior execs. 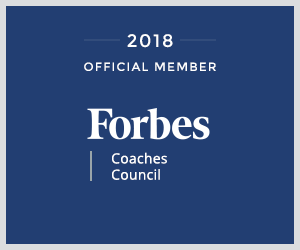 Instead, I modified my coaching programs to help people leave good-on-paper jobs, an idea I’ve had since starting my business but kept ignoring. Your goals may evolve once you begin pursuing them, and that’s okay. It was challenging to sail off in one direction, realize it wasn’t right, then retack. It’s also a beautiful lesson in listening to what calls to you at a deep and enduring level. Talking to senior executives about the retreat reinforced for me to how hard it was for most of us women to get to that level in the first place . . . never mind staying there without burning out. When the umpteenth women said, “I wish I had talked to you ten years ago when I was making the decisions that set my trajectory,” I knew I was onto something. I may do the retreat one day, but for now I’m content helping people avoid unfulfilling work that burns them out in the first place! 4. Spend quality time with my mom, aunt, and cousins. For the last 20 years, I only saw my family a couple times a year. I spent a lot more time with them in 2017. I want to maximize the remaining 7%. The banal everyday exchanges, the ones we take for granted, are the ones that matter most. I’m much more interested in running errands with my mom on a random Tuesday than all of the official family get-togethers combined. Every single minute has the potential to be quality time. 5. Visit Hawaii and/or Iceland. Take side trips to Florida, Savannah, and Cali to research places to live/spend time. While having an iron-clad timeline to engineer a promotion, salary boost, or opportunity can be a savvy career move, beware the shifting timeline that is fear or settling in disguise. If you’re waiting to make a change until _____ happens, be honest with yourself about whether it’s a true dependency. Then commit to a drop-dead date and stick to it regardless of what happens. 6. Eat healthy, exercise, sleep well, spend time in nature. Practice Caroline Time and meditate. While I learned Tai Chi (-ish) and spent a ton of time in nature, I played tennis only once (!) and was sporadic with meditation and yoga. I will remedy this in 2018. I excelled at “Caroline time”—time dedicated to myself for self-care, reflection, and improvement. Mental health is as critical as sleep, diet, and exercise for a long, happy, and fulfilling career. Commit to training your brain for success. This summer, I conducted career interviews with ~50 women of all ages across multiple industries and geographies. When I asked what was holding them back in their careers, almost all of them admitted to creating their own barriers yet not knowing what they were. Invest time and money in uncovering your blind spots. 7. Surround myself with healthy, supportive, like-minded people. My friends and family have been unwavering supporters of my unconventional career and life decisions. That said, as I carted away crates of crap from my own life, it was difficult to watch certain friends and colleagues double down on things that make them unhappy. As a result, I prioritized time with those who were actively working to improve their lives. The uptick in my attitude and accomplishments was significant. According to Jim Rohn, you’re the average of the 5 people you spend the most time with. How do your 5 align with your worldview and goals for the future? 8. Prioritize dating and take steps each week. One of my worst habits is putting dating on the back burner. I wasn’t particularly good at it, so I didn’t do it, so I continued to be not particularly good at it. For years, this meant settling for subpar relationships or taking myself out of the game entirely. It’s so INTJ of me, but this year, I devised a system for dating and (mostly) stuck to it. If you’re a high-achiever used to winning, it can be destabilizing when you don’t excel, and your instinct may be to avoid it. Online dating is not my happy place; it’s not a strength. But flexing that muscle bolstered my confidence, grit, and determination not to settle. I’m slowly getting better at dating. And I’m a better business owner, leader, and person for it. Public speaking. Office politics. If there’s something you want: Play. The. Game. Growing up, there were two things I wanted to be: a Writer and an Interior Designer (also a Princess and a Queen, but those gigs are hard to find). Writing has been a huge goal of mine for many years. It took a lot of inner work to start, and takes a ton of self-talk to continue, so I’m thrilled just to be here. That said, my writing isn't where I want it to be. There’s a gap between what’s possible for my writing and what I’m able to produce. In 2018, I want to write where it hurts, sharing more personal stories from myself and others. Take action if you want to achieve something—a simple concept, yet so many people don’t do it. Big, hairy goals are much easier when backed by a habit, routine, or other system. Start small and build. I started volunteering at the local foodbank, and I’m forever changed. It’s a blessing to work directly with talented people and be hands on with those we serve. Lesson Learned: Most people I work with cite their desire to make an impact. Yet I’m stunned by how many people fail to take advantage of volunteer opportunities (including myself). It’s a missed opportunity for everyone involved. Volunteering is a perfect opportunity to showcase your skills, network, and make a real impact. Plus, you may meet your future boss, teammate, or lovemate. 11. Overall: When I experience self-doubt and fear, I still move forward. I am grateful, joyful, peaceful, and generous. I am enjoying the journey and living the life I choose. I knew that my mindset would make or break me. I was changing everything about my life: where and how I lived; how and with whom I spent my time; and what beliefs and belongings I would keep or purge. I’ve written before about creating purpose rather than searching for it. When you make every day meaningful, the end result matters less. That doesn’t mean that some days aren’t really, really tough. It’s not what you aspire to in your career or life. It’s how you do it. You have the power to make the most daunting task fun and the simplest task agonizing. It’s all in your approach. Thanks for reading in 2017! This year was exhilarating, stressful, empowering, terrifying, confidence-building, and confidence-draining—usually all in the same day. While certain goals went swimmingly and others encountered rough waters, I gained the clarity and conviction to push further next year. You can see how this fed into my 2018 goals here! How was your 2017? What were your successes and lessons learned? Newer PostStop settling for a career that's only 5% better. Here's how to make 2018 exponential.